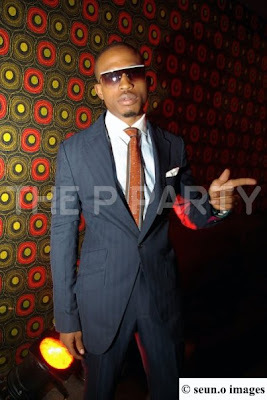 After all the months of buzz, the Naeto C Album release party took place a little over a week ago. Here are some pics from the party. Audio interviews by Wana Udobang. They will be broadcast on an international radio station but I had to put them up for u guys! Saw pictures from same event a day after the album launch party on http://www.werunthings.net/gallery/naetoc/ . I was at that party and it was WOW...filled with a lot of young, well dressed peeps and giddy eyed cute girls...lol. Bella, you doing a wonderful job. Who's this Seun O fella? I totally enjoyed those interviews. These people are going places if they keep their heads down. Bella and crew? You don done it again. You are posting like back to back to back...great. I am lovin' you right this moment, Bella. Keep it coming, you know your blog is where I get my highs. Looks like they had fun...How was the thisday show? Didn't hear too many happy stories..
Oops...just scrolled down some more..
men all those girls look so fresh! !lol...i was feeling sasha's silver dress!! u know i dont know neato c's song! !lol...i just hear abt the guy!! All these people are enjoying while I am here in yankee working like a dog. Nice audio interview. The lady is good. 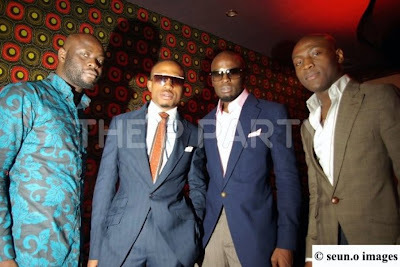 Ikechukwu is cool, he has a vision & Nnaeto C is laid back. the P is really heavy sha. im feeling their steeze... the freshest people come from naija, no questions man, GBA BE! !